If you find yourself hosting a holiday gathering, you’ll need to come up with something everyone would like, something thoughtful, something… insta-worthy. Regardless, I’ve got you covered. I recently took a trip to Europe, specifically to the south of France and Amalfi coast, and before each meal, I would get an aperitif. 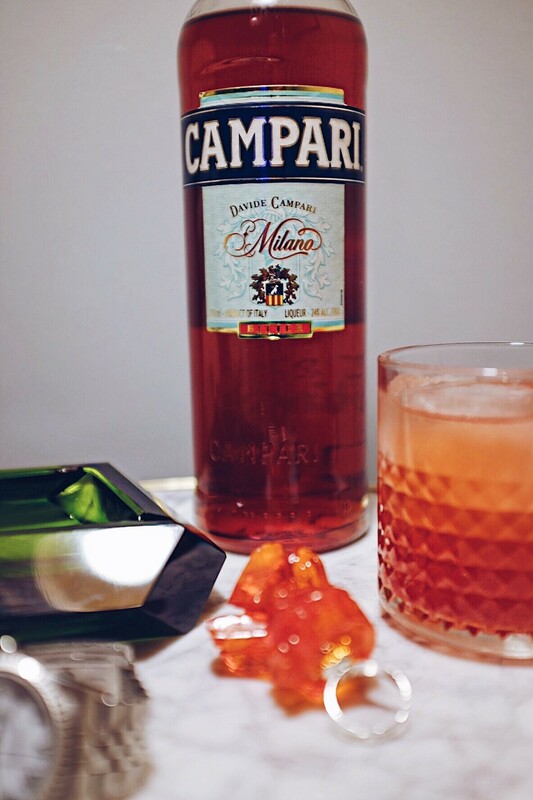 My favorite drink to get was and still is a Campari Spritz – perfect when paired with cheese and crackers, charcuterie… you know – the elegant, simple spreads that look too good to touch but irresistible enough to devour without even realizing you ate almost half the gouda on your own. 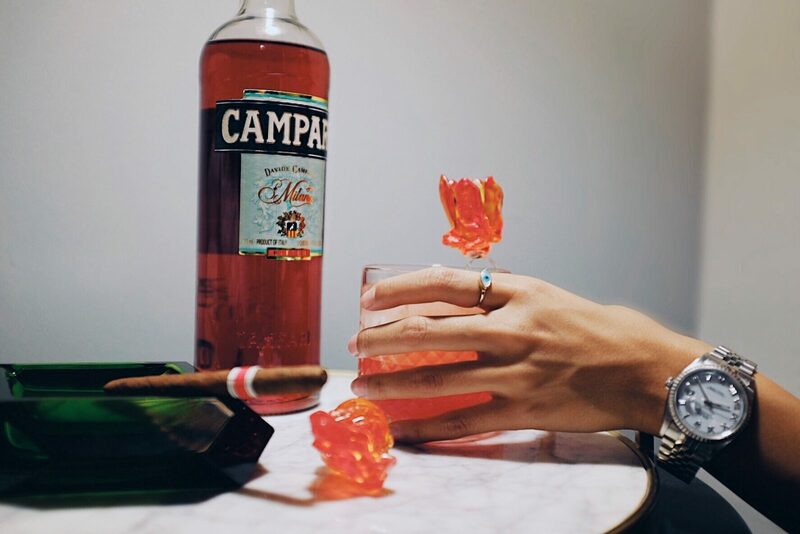 The Campari Spritz a truly refreshing drink and relatively simple to make but the garnish is where effort must be made because what’s a holiday party without some festive decor? You’ll need to choose something that will make an everlasting and immediate impression without hours of laboring over it and I’ve got just the thing! 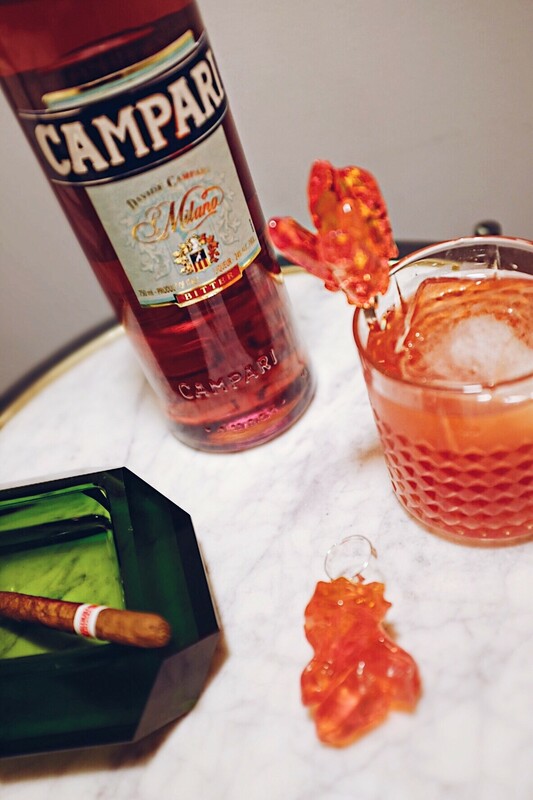 Campari and Sweet Saba collaborated to create a special edition, perfect cocktail decor called Campari on the Rocks (low-key obsessed with that name). 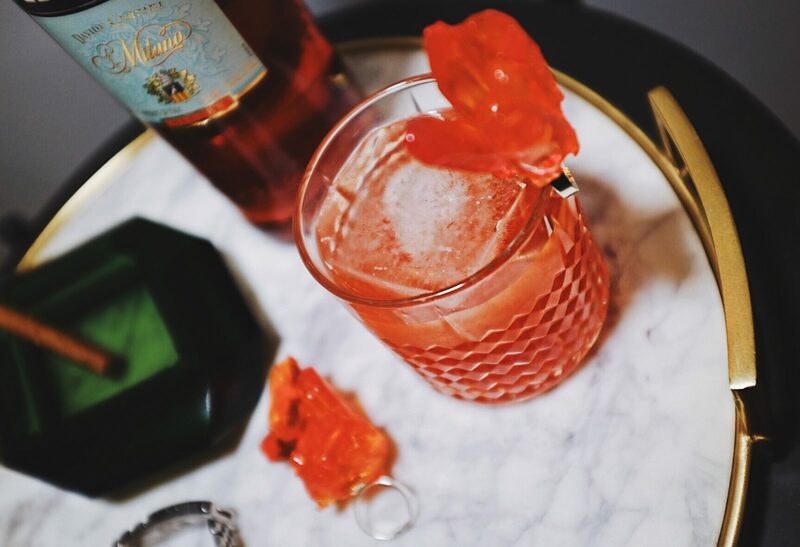 It’s a hand-made, architectural crystal candy ring in a bright red color that is flavored with notes of Campari. 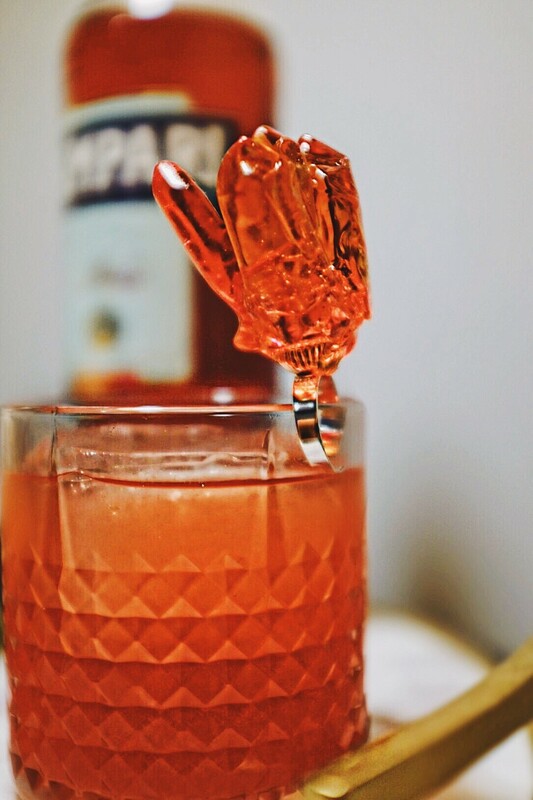 As a self-proclaimed utilitarian, dual purpose is everything to me and if I can wear my cocktail decor and use it as decoration for the drinks, I’m all over it. But it doesn’t stop there. Sweet Saba will donate 10% of proceeds to benefit City Harvest, a non-profit that rescues excess food from restaurants and retailers and distributes to the hungry. If you can choose to do good and simultaneously help to make others happy beyond the realm of your holiday gathering, well, why not? Holidays are not just about festive decor and parties, it’s also about taking the time to find ways to give back. Big or small, every bit counts. So what do you think? 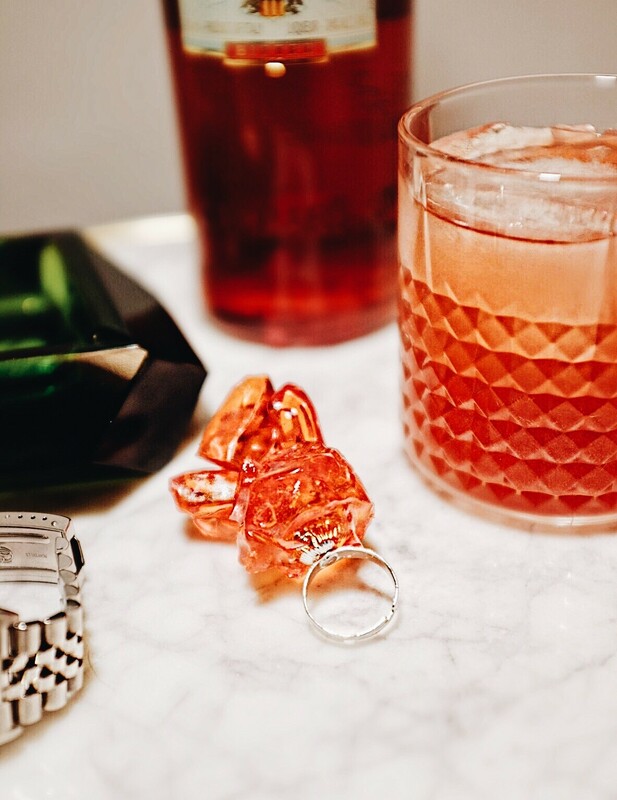 Give this cocktail a go and don’t forget this special cocktail ring that will inevitably create a massive photo-op amongst all your friends. It’ll be a holiday party to remember.